I'm a little overdue in recapping what I read in July, and hold on to your hats folks, because it's quite a list! I read all of one book in July. One! I was still feeling quite sick all throughout July and was extremely tired, so I wasn't even keeping up with my nightly habit of reading in bed. I did read part of two other books that I'm including as well. Unfortunately none of these books were very good, in my opinion, so it was kind of a lame reading month for me. 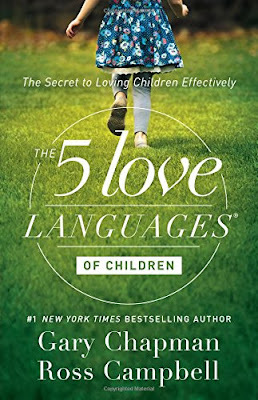 The 5 Love Languages of Children: The Secret to Loving Children Effectively // Are you familiar with the five love languages? I think it's both really interesting and really helpful, so I was excited to be able to receive a copy of this book from the publisher for the purpose of this review. This book specifically talks about the love languages in children: how to discover what your child's love language is and how to effectively love children with each of the five love languages. The first half of the book covers that, and I did find it really interesting. Nothing was particularly earth-shattering if you're already familiar with the love languages, but I enjoyed reading it. The second half of the book took a different turn into disciplining your children, which I thought was a totally unnecessary topic for this book. I also happened to disagree with a lot of what was said, so for that reason I can't fully recommend this book. 2 stars. 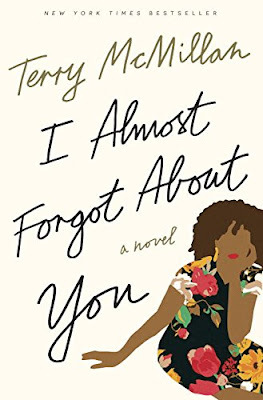 I Almost Forgot About You // I got a copy of this book from Blogging for Books because I had heard good things and wanted to read it! I will say I thought the premise of the book was really creative. The main character decides that she wants to find all of the men she's ever loved, because they've impacted her and shaped her in some way. I thought that could lead to a really interesting book! But I just wasn't having it. I didn't like the main character, I didn't enjoy the writing style, and I found there to be an excessive amount of language in the book. I can overlook foul language in a book if it's in moderation and the book is really enjoyable, but that was not the case here. I just couldn't finish it. 1 star. 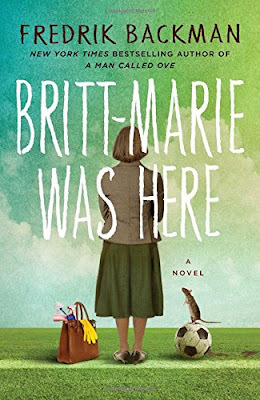 Britt-Marie Was Here: A Novel // This was the pick for our book club in July, and it was actually my suggestion. I had heard great things about this author and was excited to read this! Unfortunately I just could not get through the book. I read about half of it and just struggled. I found the writing really choppy and the storyline just did not hold my attention. I rarely quit books, but after a couple of duds in a row I didn't want to waste any more time on a book I wasn't enjoying. 1 star. Thankfully I'm out of my reading rut and have read some good books in August, so stay tuned for the August recap in a few weeks!